New England Patriots quarterback Tom Brady watches from the sideline in the fourth quarter of an NFL football game against the Buffalo Bills on Sunday in Foxborough, Massachusetts. Earlier this month, Gisele Bundchen once again talked about how she hasn’t been able to persuade husband Tom Brady to retire from the NFL, telling Ellen DeGeneres that “I haven’t been very successful” at getting him to step down. 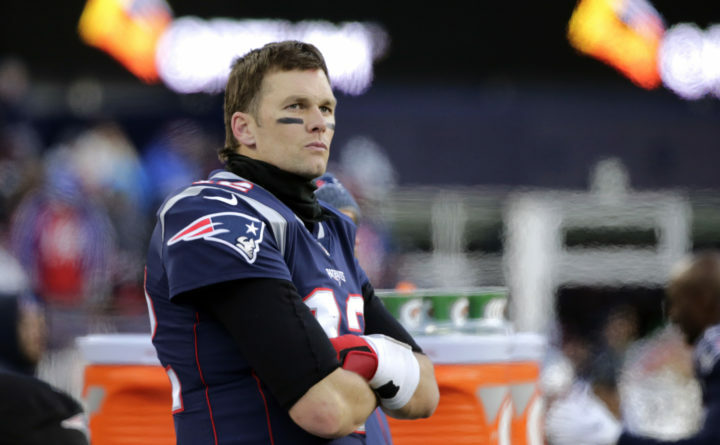 Now it looks as if the Patriots quarterback isn’t going to hang it up after what has become a somewhat difficult 2018 season. Brady will be 42 at the start of next season, and he’s said in the past that he would like to play until he’s well into his 40s. Should he return he would become one of the oldest regular starting quarterbacks in NFL history, joining the likes of Vinny Testaverde, Warren Moon and Brett Favre, all of whom started multiple games for the teams while on the north side of 40. The Patriots have clinched the AFC East title for the 16th time in Brady’s career, but the season has seemed to be a bit of a slog. Brady has thrown 11 interceptions, his highest total since 2013, and his QBR is 67.4, his lowest since that same season. Rob Gronkowski clearly isn’t the same player he once was, Julian Edelman has battled an ankle injury this season and Josh Gordon has once again bounced out of the league. Nevertheless, the Patriots still rank seventh in the league in offensive DVOA, a measure of efficiency, and still can secure the No. 1 seed in the AFC playoffs with a win Sunday combined with losses by the Chiefs and Chargers.